The first sunshine sighting often has winter-weary Northwesterners flocking to their patios for the long-awaited first barbecue of the season. Summer just isn’t the same without grilling. Many accidents can be easily avoided with regular grill inspection. 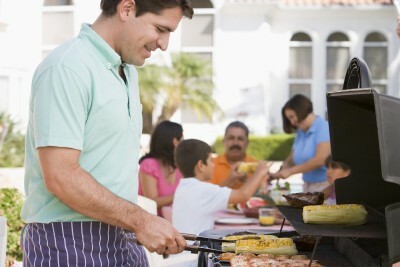 Before using a gas grill it is important to inspect the tank and gas lines. Look for cracks or holes that could cause gas to leak. If anything on the grill looks questionable it is best to have it replaced or inspected by a professional before use. Also, don’t forget to check propane levels in your tank, so you don’t run out mid-grilling. Propane tanks should be inspected regularly and must be re-certified for safety every twelve years. The certification process is simple and can usually be completed by any certified propane tank retailer. The tank will be examined and labeled with a re-certification date. Sometimes tanks will need to be outfitted with a new valve, which may cost an additional fee. It’s a small price to pay for safety. Always use your gas grill outside, never in an area with poor ventilation. Before lighting the grill, take a moment to review the surrounding area. Make sure the grill is on a flat, stable surface. Remove flammable items and clear away yard debris. It is wise to move toys away from the grill and keep a close eye on children playing nearby. When not in use, close the grill and cover it. Double check that the propane tank is turned off. Always store propane tanks in an upright position, away from sources of heat and flame. In celebration of barbecue season, visit our Facebook page after July 1st, and grab a coupon for $.50 off per gallon on propane tank filling between July 1, 2013 and July 31, 2013. © 2019 Skagit Farmers Supply. All rights reserved.